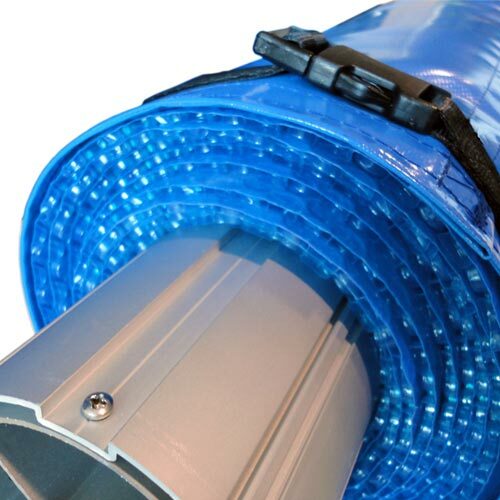 This high resistance cover is especially designed for the winter. 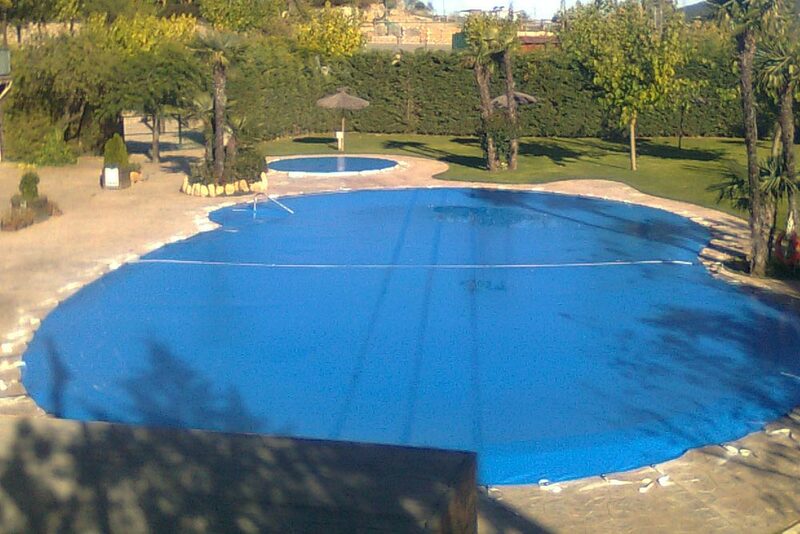 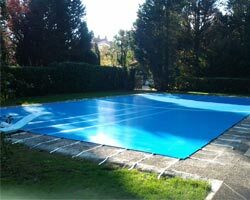 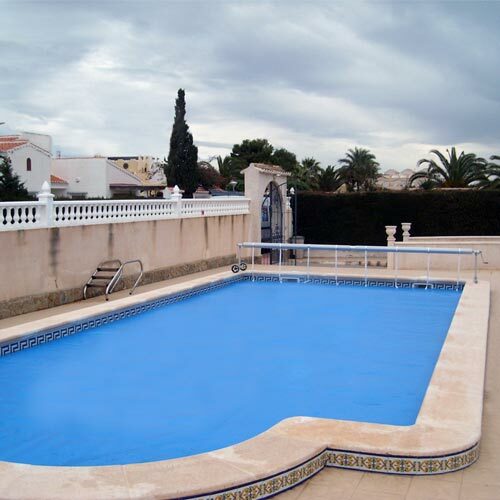 It is possible to cover pools up to 15m in width and an indefinite length. 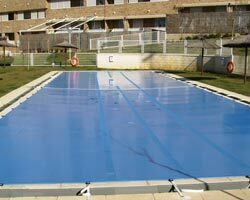 The system consists of dividing the covering space into two or more covers, so that they are easy to manage. 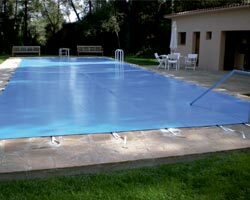 The sides of the covers which cross the pool include special tensioning belts with two ratchets that allow a strong tension. 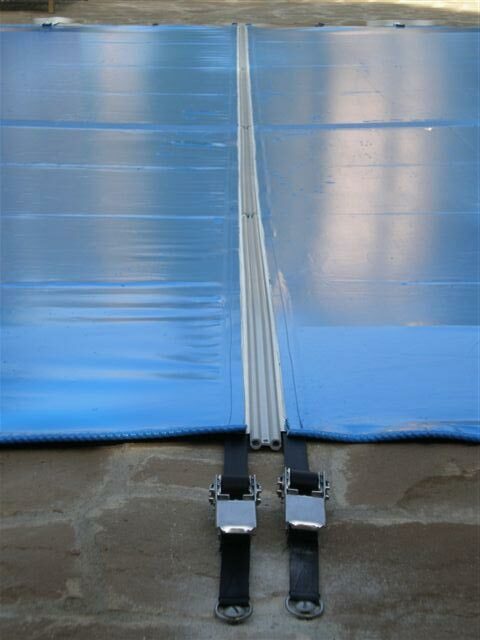 After placing the covers on to a bed of tensioning straps in the shape of a grid (facilitates their extension), a zip type plastic profile slides from one end which will keep one cover connected to the other. The different layers of rolled material successively filter the infra-red rays from solar light, producing heating which seriously damages the material of the inner layers. 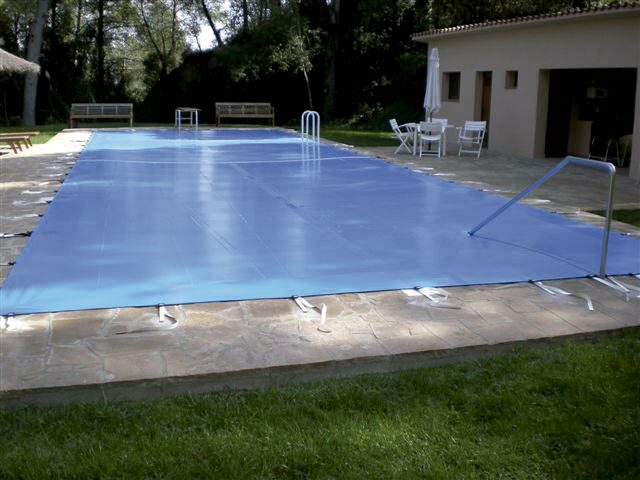 It is always recommended to use the protector. 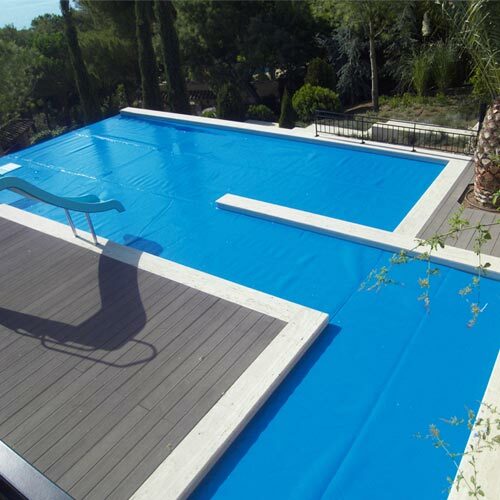 Polyester fabric covered with PVC on both sides, and with a rain water filtering strip. 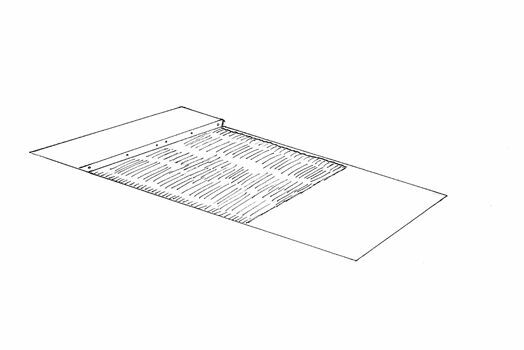 Opaque to light. 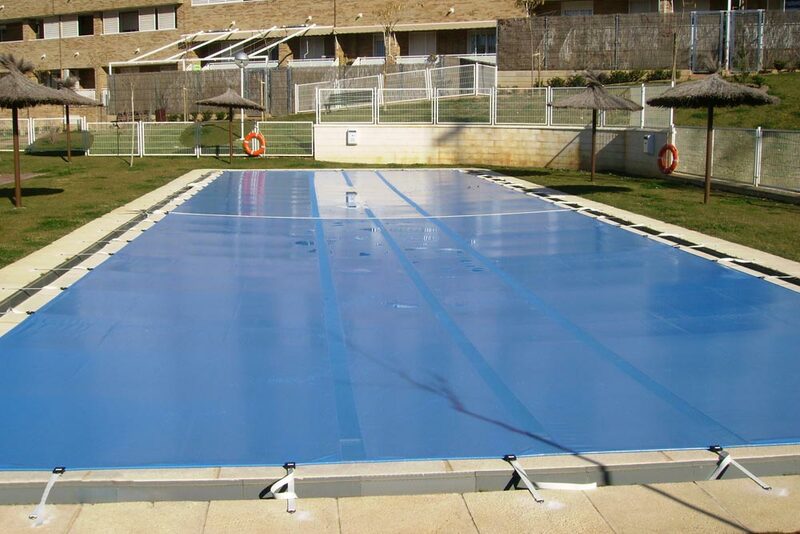 With EXCLUSIVE IASO MOORINGS that move around the perimeter, being able to place them where you want and move them to the desired spot. 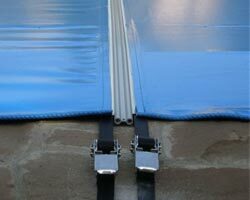 Reinforced with a welded hem and a cord inside. 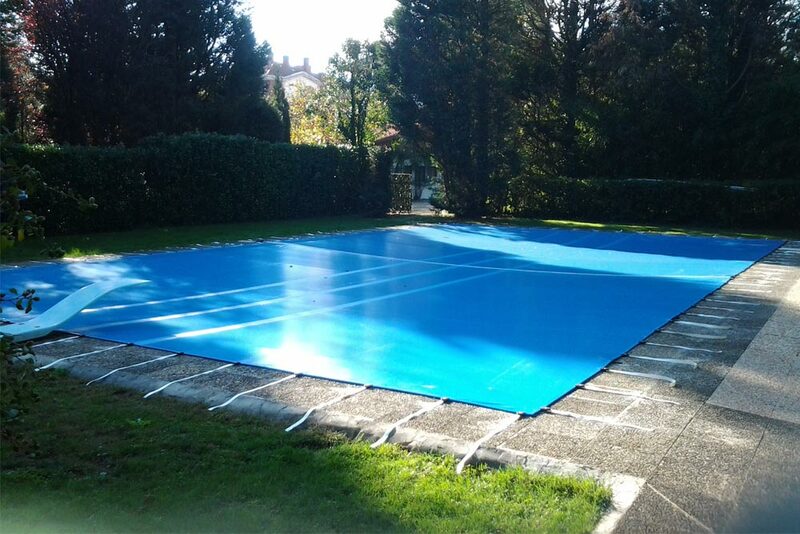 It is also easy to assemble and has the security of the moorings not being able to move unexpectedly, therefore the cover is perfectly flat. 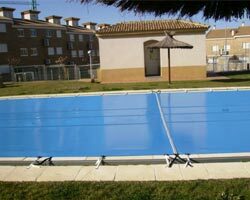 These moorings are tensioned and can be adjusted to the desired measurement, with a resistance of up to 90 kg. 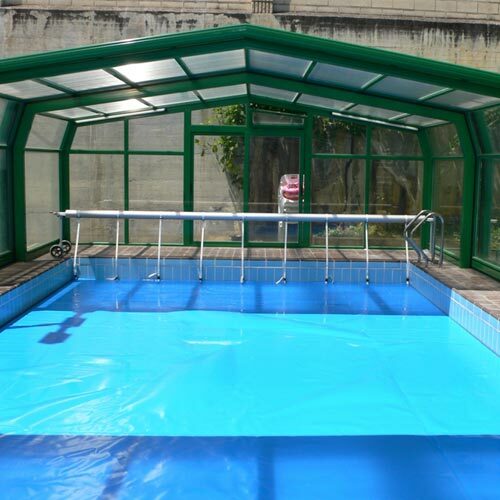 Opaque and with light closing flaps under the filtering strip which reduces the proliferation of algae.